Asus 1225B Eee PC review - this one of the ultra-portable business laptops by Asus that is currently offered at a very good price. ASUS 1225B is part of Asus' Eee PC small and lightweight series. ASUS 1225B has a nice 11.6-inch LED-backlit LCD display with HD resolution of 1366x768. This display has very low levels of energy consumption and offers good visibility even in direct sunlight so it is very capable on the go. Asus Eee PC 1225B is powered by the 1GHz AMD C60 dual-core processor. It also has 4GB of DDR 3 RAM and 320GB hard drive. Asus Eee PC 1225B is fully equipped with connection options like 802.11 b/g/n wireless connection and 10/100 Mpbs fast Ethernet network adapter. An HDMI port and 2x USB ports are also available in this laptop. Though it has a very small screen and energy efficient processor the battery of the Asus Eee PC 1225B is not the best in class. It achieves an average battery life of around 2-3 hours which is not great for an ultra-portable laptop computer. The good news is that the small battery allows this notebook to weigh just 1.15 kg which is a great achievement. 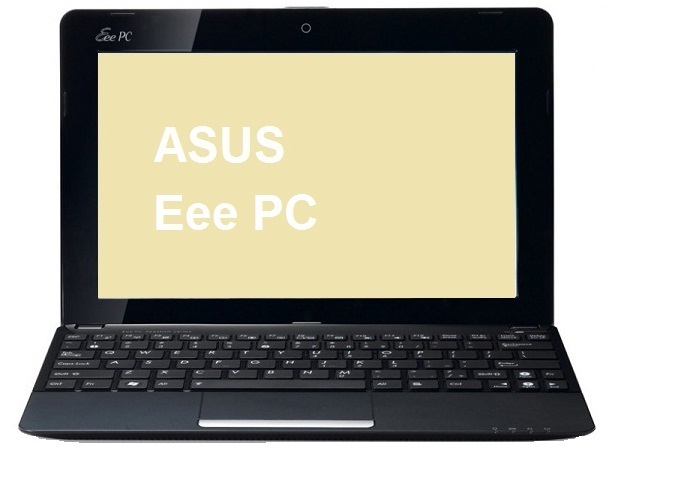 The keyboard of the Asus Eee PC 1225B is very comfortable and a real pleasure to use. 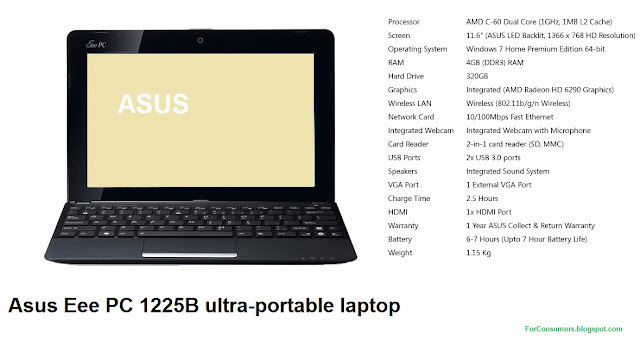 The price of the Asus Eee PC 1225B ultra-portable laptop is also very good. This computer can be found in online tech stores for under £230 which is a very good price for a laptop in this class. Another very interesting cheap laptop from this model line that you should check is the Asus X55V. Verdict - Asus Eee PC 1225B doesn't offer the latest technology in this class but it definitely is one of the most affordable portable lightweight computers on the market today.